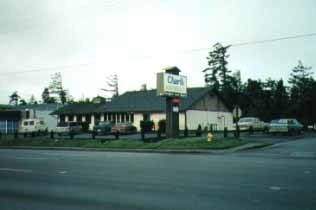 Noted for quality food and the finest service anywhere, Charl's Restaurant has won an enviable reputation as one of Florence, Oregon's favorite restaurants. Conveniently located at 2575 Highway 101, this outstanding restaurant serves breakfast, lunch, and dinner. Open Monday to Sunday from 6:30 am to 8:00 pm. The whole family will enjoy dining in the pleasant atmosphere and clean surroundings that this fine restaurant has to offer. Easy access to parking for RV's.